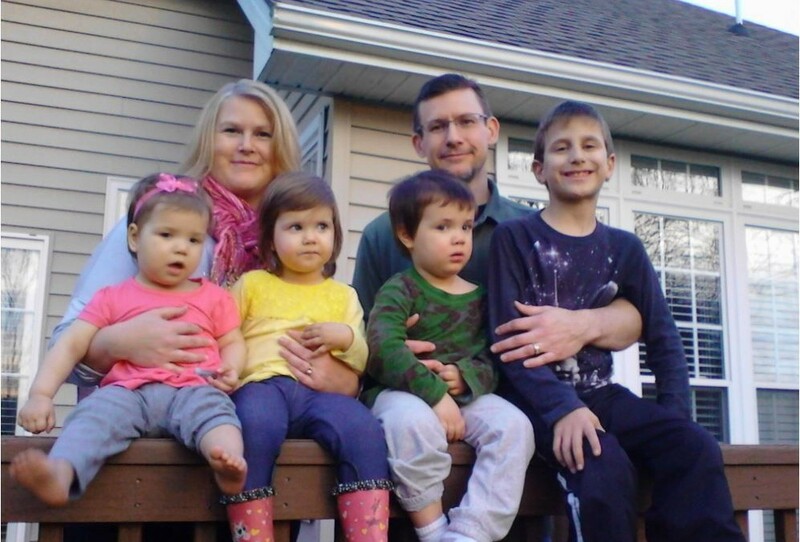 Polish Adoption | Little Prayer Warrior! When it comes to a family being brought together through international adoption, it is all in God’s hands. It is all His plan. We have nothing to do with that, other than pray for our parents. We know that most of our parents join us in prayer, but this particular family had a “special prayer warrior” – their son! As they were presented with the opportunity to enlarge their family by 3, they accepted! They told us, that their son whom they also adopted had been praying for 3 brothers and sisters. Little would you know, God was answering his prayer with plenty of fun new siblings: two girls and a boy, ages 2, 3, and 4. He went from being an only child, to a big brother! We are thankful to the adoptive mom who provided us with this Adopting from Poland Q&A for our blog. No one better to ask then those who are done! What was the feeling like, when you saw – for the first time – the picture of your children? I knew even before we saw the pictures that it was meant to be. When I heard that we were referred a little boy and two little girls I started to cry and was so overwhelmed and thankful. Our 7 year old son had been praying for a brother and two sisters for over a year, so I just knew this referral had God’s hand on it. When we finally saw their cute little faces, we couldn’t get to Poland fast enough. We are completely in love. Before St. Mary’s, you adopted from Russia. How was it different with Poland and St. Mary’s? International adoption is such an experience of a lifetime, and thankfully we were able to do it twice. In both cases there was a lot of paperwork, patience and traveling required. And with both adoptions we enjoyed meeting and working with everyone who helped us out along the way…from the agency, to the in-country facilitator and driver. One big difference we noticed was that the paperwork for St. Mary’s was more organized and simpler to complete than what we had to do for our first adoption. How was traveling, and your experience with the Polish Adoption Commission. What did you think of them? The travel was of course long, but it was so interesting to visit Poland with their rich history and friendly people. The People from the Adoption Commission were very nice, professional and seemed to have the best interest of the kids at heart. It was very nice meeting with them. They were also very nice to our 7 year old son, who we brought with. We were very surprised to learn that we would meet with the Adoption Commission an hour after checking into our hotel. After we met with them we were able to meet our kids for the first time. We were tired, but amazed that we were finally able to hold them and play with them. The travel home was interesting with four little kids. We were surprised at how well they did. We changed a lot of diapers and wiped away a few tears, but it wasn’t bad. I bought some small toys in Poland for them to play with on the way home and brought plenty of snacks. We had people on different airplanes telling us how well they did traveling. How was it working with St. Mary’s? Nick and Lina were very responsive and patient with our many calls and questions. The Polish representatives helped us out so much and made sure the paperwork and court dates and other appointments were kept. There was a lot of things they had to juggle for us and the other adopting families. Our advice would be to not get discouraged. We prayed and prayed for the kids who were right for our family. We completely believe God brought us and our children together. It did not happen according to our time frame, and we even sadly turned down some earlier referrals who did not seem a good fit for us, but we are so happy and feel so blessed now. So please do not lose hope.